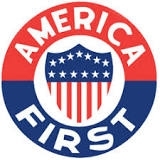 The America First Committee was an organization that opposed the American entry into World War II. It was one of the biggest anti-war organizations in the history of the United States. 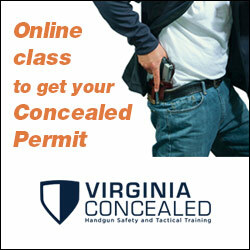 At its peak, the organization had 800, 000 paid members organized in 650 chapters. 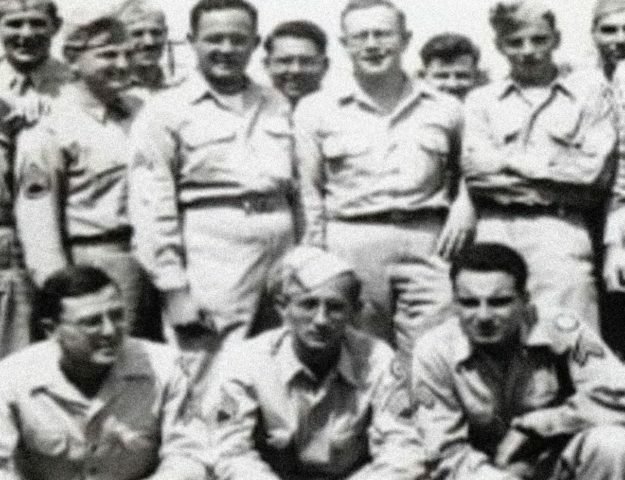 The group was started in 1940 and disbanded after the Japanese attack on Pearl Harbor in December 1941 when the United States officially entered the Second World War. 1 When Was the America First Committee Started? 2 Where was the AFC First Organized? When Was the America First Committee Started? 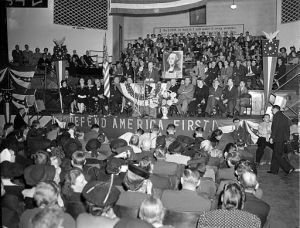 The America First Committee was created by Yale Law School student R. Douglas Stuart, Jr., and other students on September 4, 1940. Among the students were Gerald Ford, who would become U.S. President, Sargent Shriver who would become the director of the Peace Crops and Potter Stewart, the future U.S. Supreme Court justice. America First had 800, 000 paying members at it's peek, most of the members were within a 300-mile radius of Chicago. Charles Lindbergh speaking at an AFC rally. fundraising, while that amount came from some 25,000 contributors most of it was from a few millionaires like Sterling Morton and Joseph M. Patterson. John F. Kennedy, the future U.S. president also made a contribution which came with a note saying "What you are doing is vital." One notable thing about the America First Committee was that they never had a public opinion poll. The chapter in New York got around $190, 000 from some 47,000 contributors and because the local chapters were very autonomous it is believed that the leaders of the AFC didn't actually know how many members they had. Where was the AFC First Organized? The first serious organizing began in Chicago around September 1940. Chicago would also remain the national headquarters of the organization. They choose General Robert E. Wood to preside over the committee, Wood only accepted an interim position but remained the head of the committee until the AFC was disbanded, when the U.S. officially entered World War II. The AFC didn't lack sympathizers from both the world of business and politics. Senators David I. Walsh, Burton K. Wheeler and Gerald P. Nye were all sympathetic to their cause as was the prominent aviator Charles A. Lindbergh. 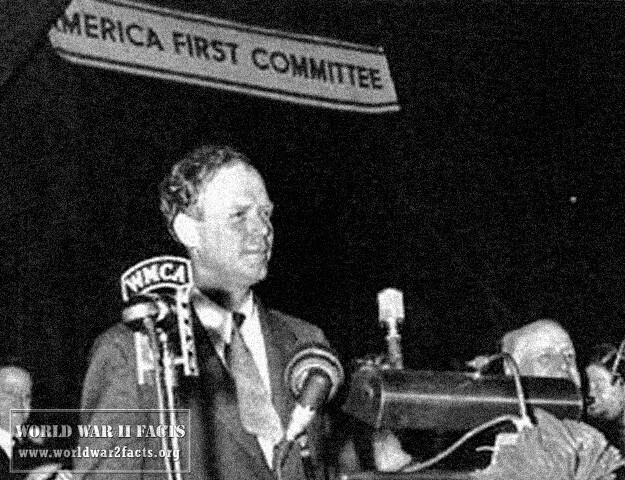 Other prominent supporters of the America First Committee were novelist Sinclair Lewis and film producer Walt Disney. 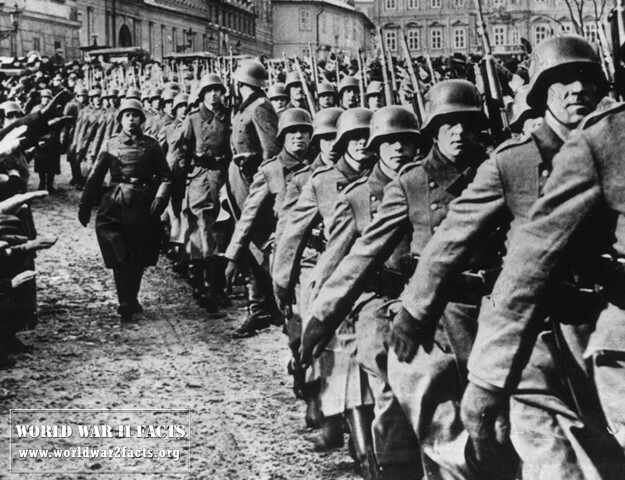 When World War II began most of the American public and most of the Congressmen demanded that the U.S. keep a neutral stance towards Europe. On the other hand most Americans were for a strong policy against Japan, the AFC focused their efforts on Europe and soon the public opinion would change as well, especially after the fall of France in 1940. The America First Committee didn't really trust that President Roosevelt would keep his pledge to stay out of the war so they started a petition with the goal of enforcing the 1939 Neutrality Act which would force the President to keep the U.S. from going to war. When Roosevelt's lend-lease bill was submitted to Congress the AFC quickly promised that they would oppose it any way they could. Charles Lindbergh was very active in questioning the motives of the administration even before the AFC was formed. He urged the American public to look beyond the speeches and propaganda and think critically about who was feeding them with these speeches and who had an interest in the war. He spoke on June 20, 1941 in a Los Angeles rally, he criticized those who wanted to push the U.S. into war and the interventionists that claimed that they have to go to war to defend England, but really just wanted to defeat Germany. 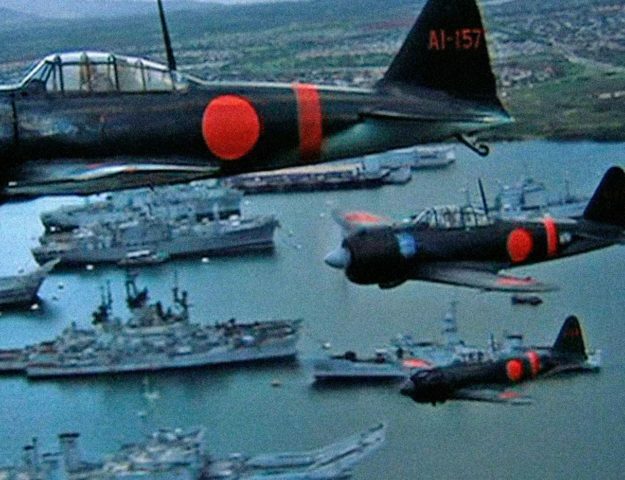 When Japan attacked Pearl Harbor the U.S. formally entered the war, at this point the AFC decided that they should disband. The members of the committee met on December 11 and voted to disband the AFC. Communists tried to infiltrate it and take it over before Hitler attacked the Soviet Union at which point they changed their position and proclaimed the AFC was a Nazi front.